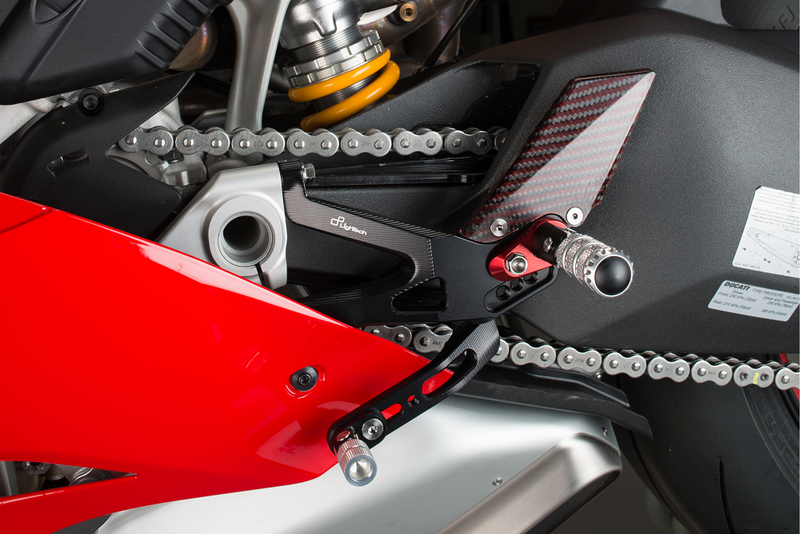 LighTech’s “R Version” Rearsets are the pinnacle of Race Bred Technology for your motorcycle. 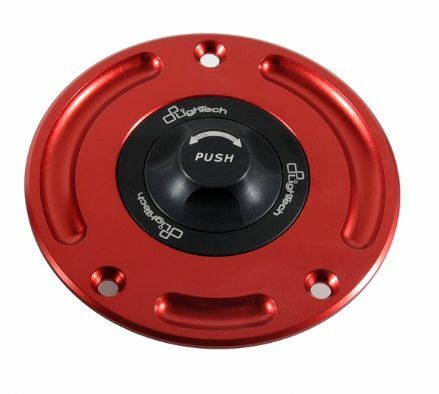 Comes with standard and reverse / race shift options. Developed on track from LighTech Patented “Track System”, the exotic materials used in the component parts sets the R Version Rearsets apart from the standard range. While the rearset retains the same high Quality CNC 7075 Ergal machined body, all bolts are upgraded from steel to Titanium, all bearings are upgraded to superior specification items, both footpeg and toe piece are folding, the footpeg mounting plate is anodised in the R Version signature Red, and the rearset is completed with Red Carbon Fibre heel plate, emblazoned with the unique R. LighTech R Version Rearsets – The Ultimate in Race Bred Design. Toe-pegs, carbon fibre heel plates and other accessories and spares are available here.